These past months have been busy for many writers around me. 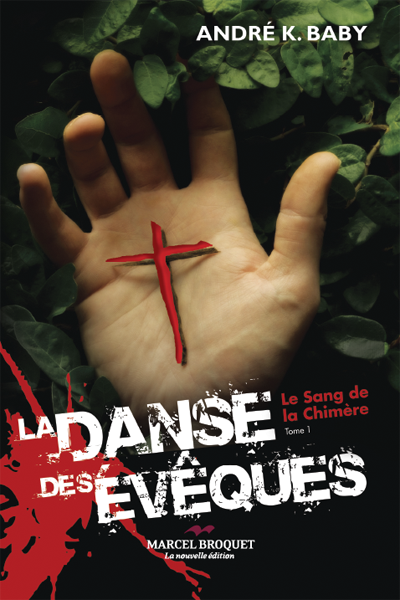 One of the members of my writer’s group, Andre K. Baby, released his first novel: La Danse des Eveques. His is a very unique entry into the publishing world – his book originally written in English was picked up by a French Quebec publisher who loved it, translated it, and voila! Any francophone readers should pick up this wonderful book full of thrill, and mystery – a page turner! 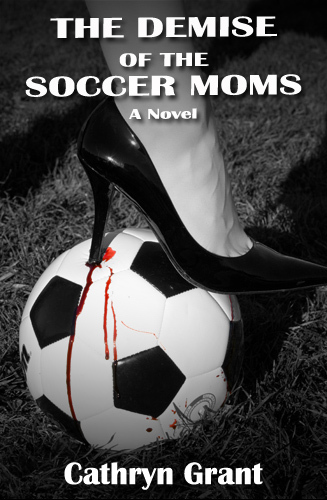 One of my first blogging friends, Cathryn Grant, self published her debut novel, The Demise of the Soccer Moms. This multi-dimensional book covers so many aspects of motherhood. While witnessing three mothers attempting to keep their children safe and sheltered, we see how their own life experiences colours how they perceive their children’s. Not only full of suspense and intrigue, this novel will leave you questioning not only your parenting skills, but the way you see others around you. Another blogging friend since day one will be releasing her debut novel this summer: Miserere: An Autumn Tale, by Teresa Frohock. Congratulations Teresa! We look forward to reading it! Linda Cassidy Lewis, who was I think the second person to ever leave a comment on my blog, is self-publishing her debut novel this year! Follow her process over at her blog Out of My Mind. Linda has poured much of herself into this novel, and I cannot wait to read it! Stephanie Beman, has self-published her novel, My Lorde Hades, and is in the process of publishing another. A blogging friend and mother of young children, she writes fantasy and romance – go check her out!! Her novel will be one of the next ones I read. Laura Best’s debut novel Bitter, Sweet, is a wonderful YA book that as an adult I loved. It looks at the hearth of a family. I read it last Christmas, but it’s never too late to shout it out. I thoroughly enjoyed it. You can read all about it on her blog. Are there any debut authors, traditional and Indie, you want to shout out? I hope I can consider myself your friend, seeing as how many of your other friends are achieving a level of success. Just what kind of a good luck charm are you? I thought you had self-published as well, but I didn’t see any links up on your blog? The initial efforts were haphazard, only from the standpoint of the process and not from the writing. I’m immersing myself into the Digital World more and more while at the same time trying to continue to develop the craft. These noted ladies deserve more praise at this time for their finished works. Believe me, I’ll SHOUT IT OUT when I deliver something worthwhile. In the meantime, continued successes to ALL who pursue this madness! So many books! Congratulations to all these writers. Thanks for including my novel in your shout out, Jennifer! What a surprise when I saw your blog refresh in my reader and I thought, oh yay, Jennifer’s back, I’ll see what she’s been up to. Apparently you’ve been up to a lot of reading along with mothering, and writing. It’s exciting and intriguing for me to see how different people pull different things out of my novel. Thanks for your thoughtful comments. I was thinking about your book this morning, and how I had written we follow the plight of 2 women, but I realized that Rachel served more than a subdued contrast. Hers was a more passive response, but it doesn’t make her pain any less real than Amy’s or Charlotte’s. I go edit that now in my post!!! It’s a strange sensation, but it’s a thrill to see strangers respond to my novel. I do like the varying reactions, and it’s funny you mention Rachel because two readers thought it was her “story”. I hope all is well and you’re having a healthy winter!! We’re trying to keep healthy….it’s up and down….thanks Cathryn!! Since I began blogging I’ve been amazed at the support and the community of writers – it’s great! Hi, Jennifer! Thanks so much for including my novel in your shout-out and congratulations to everyone else! You’ve got so many great books listed here, it’s going to be hard to pick one. I hope Andre’s book will eventually be released in English, I love the cover art for it. I’ve read Cathryn’s and Laura’s already, but I’ll have to check out Stephanie and Teresa’s. Sorry, I can’t read French. I’ve made it a goal to read more debut novels this year. I know I’ll discover some new favorite authors. Yes, I look forward to reading theirs (and yours ) as well, Linda! Hopefully Andre’s book will be released in English… It’s always great discovering new writers! Hi, still struggling to write mine. How about the first novel, Lawrence? The one that the editor was hanging onto? They don’t think they can do anything with it as it currently stands. I offered to put it to one side for eighteen months and work on something else. The agent was extremely apologetic and prepared to read other stuff, so I’m struggling through novel two. WAnting to read more is very very good, Lawrence!